3 YRS Dongguan Lancai Garment Co., Ltd.
2 YRS Shenzhen Bei Qiao West Technology Co., Ltd.
2 YRS Yiwu Huotong E-Business Co., Ltd.
1 YRS Xiamen Lefiness Garment Co., Ltd.
3.What's your delivery time9 Normally, our delivery time is about 2-4 weeks after payment. if you are urgent, we will try our best to finish our orders as soon as possible after confirmed the sample and payment. 4. How to get a sample9 Sample charged if we have no stock or customized samples according to your design. 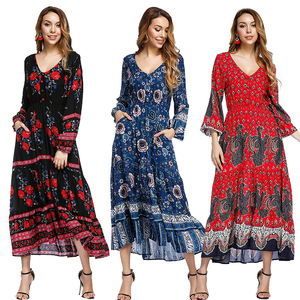 gypsy style oem fashion ladies boho printed gypsy dresses title gypsy style oem fashion ladies boho printed gypsy dresses style no. we have our own factory with high production capacity. size chart is for reference only; there may be a little difference with what you get. sincerely look forward to beginning and having a long-term business with new friends from all over the world in the near future. 3 YRS Dongguan Qinpeng Clothing Co., Ltd.
All the products are exported to Europe, America, Southeast Asia, and more than 60 countries and regions. Because there is bank process handle fee, it would be a lot of money if you make twice transfer. it Will be our pleasure to be one your good OEM manufacturer in China to meet your OEM requirements. 1 YRS Guangzhou Laizi Clothes & Accessories Co., Ltd.
oem service size, color, logo, tag, printing, embroidery can be customized logo provide customized printing , embroidery, rhinestone, beaded,etc. printing silk screen printing, heat transfer printing,discharge printing,digital printing,etc. 1 YRS Yiwu Jiayou Trading Co., Ltd.
3,Effective and on time production of mass goods and delivery 5000 pcs within 25 days. 5,Promise of refund if any defect of goods and 100% inspection on quality before dispatched 1,Can i get the sample order Yes,We welcome sample order to test and check quality. Mix Sample are acceptable 2,How did you ship the goods and how long does it take arrive9 We uasually ship by DHL,Fedex or TNT,It usually take 3-5 works to arrive. 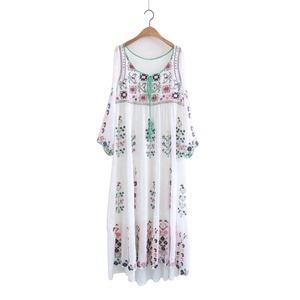 2 YRS Xiamen Cenxing Import & Export Co., Ltd.
Alibaba.com offers 10,420 dress boho products. About 74% of these are casual dresses, 51% are plus size dress & skirts, and 1% are women's sweaters. 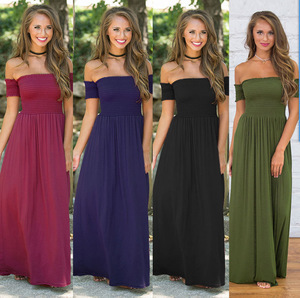 A wide variety of dress boho options are available to you, such as anti-static, breathable, and anti-wrinkle. You can also choose from in-stock items, oem service. As well as from corduroy, crepe, and denim. And whether dress boho is free samples, or paid samples. There are 10,420 dress boho suppliers, mainly located in Asia. The top supplying country is China (Mainland), which supply 100% of dress boho respectively. 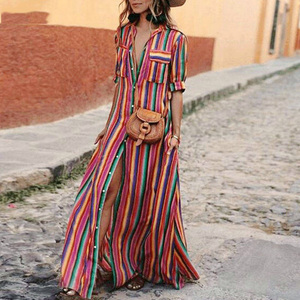 Dress boho products are most popular in North America, Western Europe, and South America. You can ensure product safety by selecting from certified suppliers, including 544 with Other, 101 with ISO9001, and 99 with BSCI certification.